Seahawks ticket prices are their lowest in years. Does that mean notorious 12s are quieting down? Even though ticket prices for Seahawks preseason games are down this year, several fans at Thursday's game against the Colts said they remain cautiously optimistic about Seattle's 2018 prospects. But, they said, it won't be the same to watch the defense take the field without the legends of the Legion of Boom era. Ahead of the Seahawks’ season kicking off with Thursday’s preseason game against the Indianapolis Colts, doubts about the team’s trajectory have swirled around the football world. After missing the playoffs last year for the first time since 2011, drastic personnel changes in the offseason, and the effective end of the Legion of Boom, fans and pundits have tossed around the words “rebuilding season” to describe what’s ahead for the Seahawks. For Thursday’s preseason game, prices for tickets on the secondary market were the cheapest they’ve been in years. A representative from ticket reseller Vivid Seats said that average ticket prices for Seahawks preseason games on the site are the lowest they’ve been since the 2014 season. And while several factors contribute to the cost of tickets, expectations for how a team will perform is one of them. Anthony Beyrouti, founder and president of Venue Kings Ticket Brokers, said a day before the game that the site had tickets going for less than $30, while they never usually went lower than $50 over the last few years. 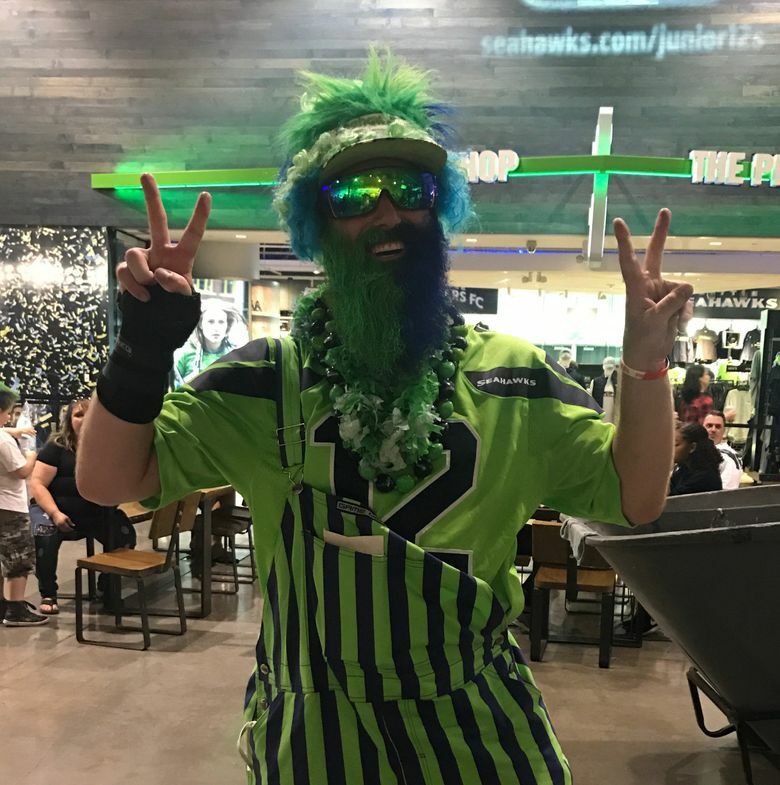 Yet many of the 68,418 Hawks fans at CenturyLink Thursday evening did not mirror the doom-and-gloom of some parts of the media and fan base. Rather, fans were cautiously optimistic that Pete Carroll could integrate the new guys with the old and build a team that could get back to the playoffs. John Holderman of Puyallup is primarily concerned about the changes in personnel and how that could affect team dynamics. Fans said it won’t be the same to watch the defense take the field without the legends of the Legion of Boom era. “That is a sad moment, actually,” Lisa Vo, from Bellevue, said about the depletion of the Legion of Boom. When it came to Earl Thomas’ holdout, a big topic among the fans as the season approaches, she said she sympathized and understood where he’s coming from. But at this point, the team just has to work with what they’ve been dealt, some fans said. Rick Souther of Olympia sported a Bobby Wagner jersey, which he said he had to buy once Kam Chancellor announced he would miss the year with a season-ending injury. With all the personnel changes, Souther said he expects this year to be a building season, but thinks the team could still pull out a 10-6 record. Cassie Openshaw, also from Olympia, said she’s “hopeful but not expecting a whole lot.” She is primarily concerned with the quality of the Seahawks’ offensive line and the push to become a more run-dominant offense. One person she doesn’t doubt? Coach Carroll. “He took us to our first Super Bowl win, he took us back the next year — I have 100 percent faith in Pete Carroll,” Openshaw said. Despite his concerns, Holderman thinks the team will make the wild-card round. His colleague, Kyle McKormick of Sumner, was more pessimistic and predicted that Seattle will miss the postseason this year and, more precisely, get the 15th overall pick in next year’s draft. The two were joined by colleagues who were fans of the 49ers and the visiting Colts. The non-Hawks fans at CenturyLink were, predictably, much more bleak about the Seahawks’ likelihood for success. “I’m not one to talk crap about the Seahawks, but they’re really just on the downswing,” said Juan Ramirez, a 49ers fan who lives in Seattle. And of course, some Seahawks fans were … really, really optimistic. “I personally believe the Seahawks will be NFC champions. We will be Super Bowl contenders and we’ll play the Patriots in the Super Bowl and we’ll run the ball and break Tom Brady’s six-ring streak,” Wergeland-Rammage said.